Her Royal Highness The Princess Royal went behind the scenes of a state-of the art glasshouse when she visited Valley Grown Nurseries in the Lea Valley today (Wednesday 25 January 2017). 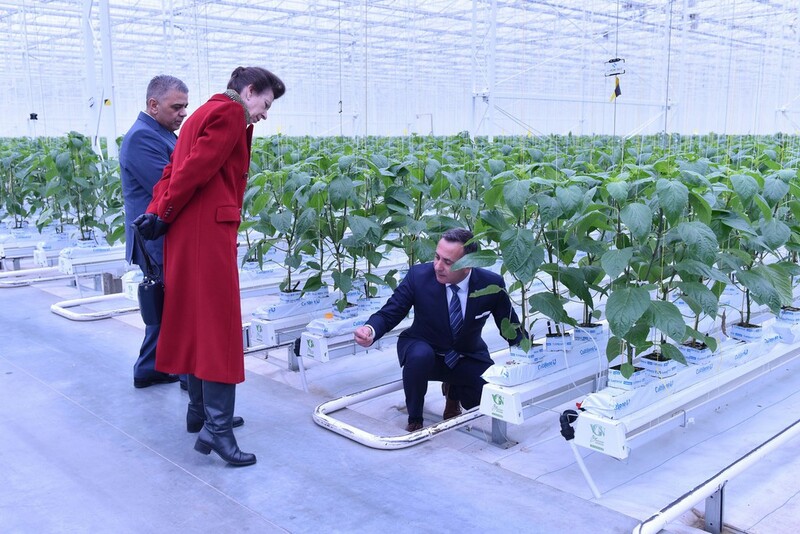 The Princess Royal toured the company’s new glasshouse in Nazeing, Essex, a development that represents the largest addition of glasshouses to the Lea Valley since the 1950s. 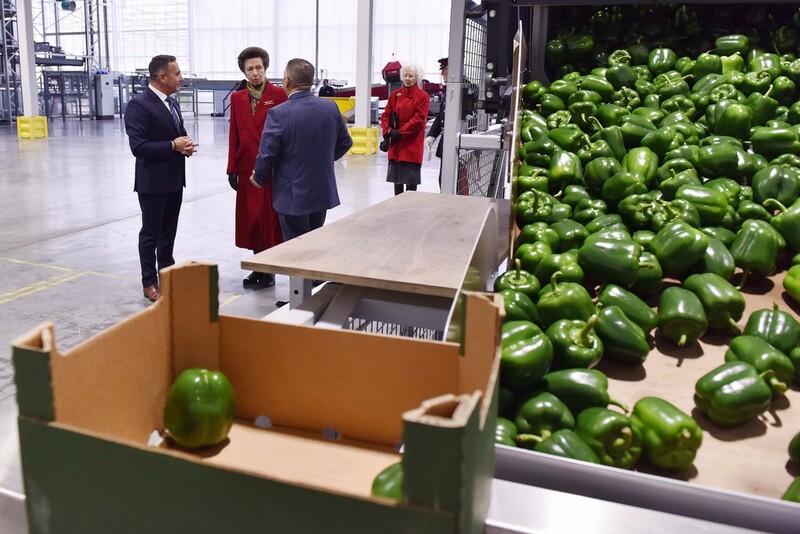 During her tour, Valley Grown Nurseries’ co-owners Vince and Jimmy Russo explained how they were investing in the nursery to increase production of top quality sweet peppers and tomatoes for British consumers. The tour included a visit to the packing and grading area, where automated trolleys are used to bring produce out of the glasshouses. 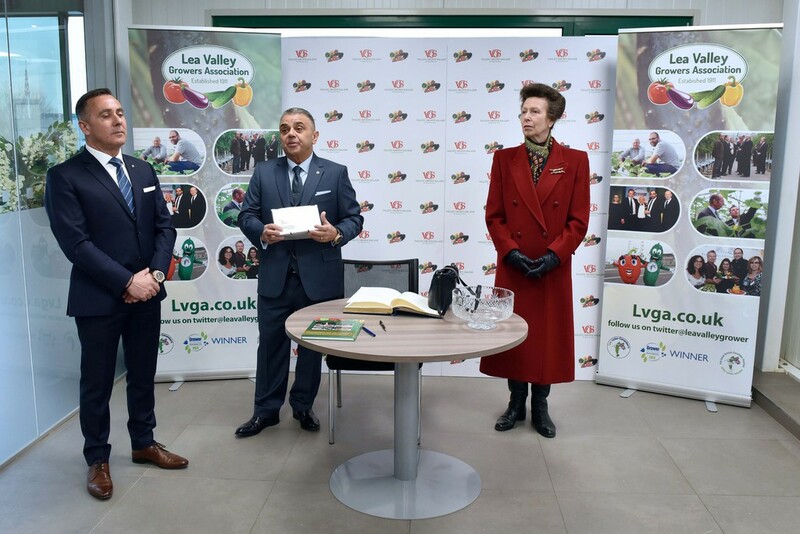 The Princess Royal unveiled a commemorative plaque and signed the same Lea Valley Growers’ Association visitor’s book that her grandmother, The Queen Mother, signed when she visited the Lea Valley in June 1959. She also met nursery managers and workers and invited guests, including NFU President Meurig Raymond, Essex County Council Chairman Councillor John Aldridge and Essex Police and Crime Commissioner Roger Hirst. Vince Russo said: “We were pleased and honoured to host the Princess Royal today. 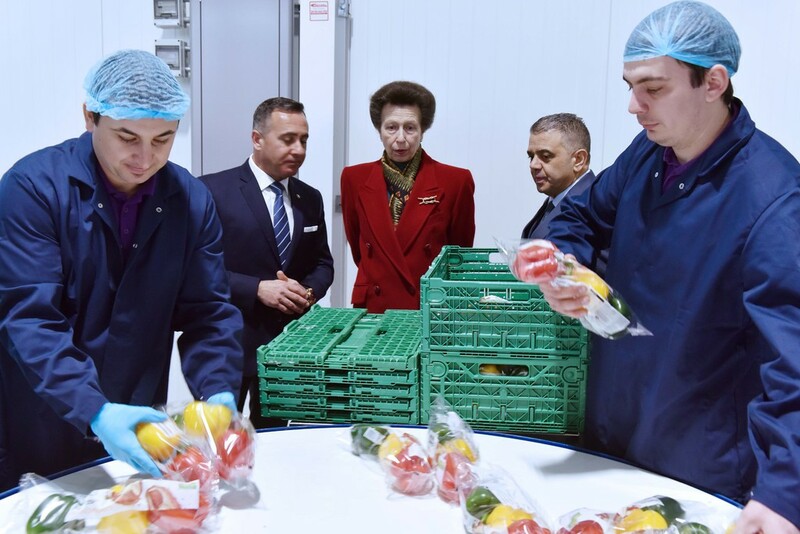 Her visit allowed us to demonstrate how we are investing in the latest technology and techniques to grow sweet peppers and tomatoes with the best quality and maximum shelf life to the British consumer. 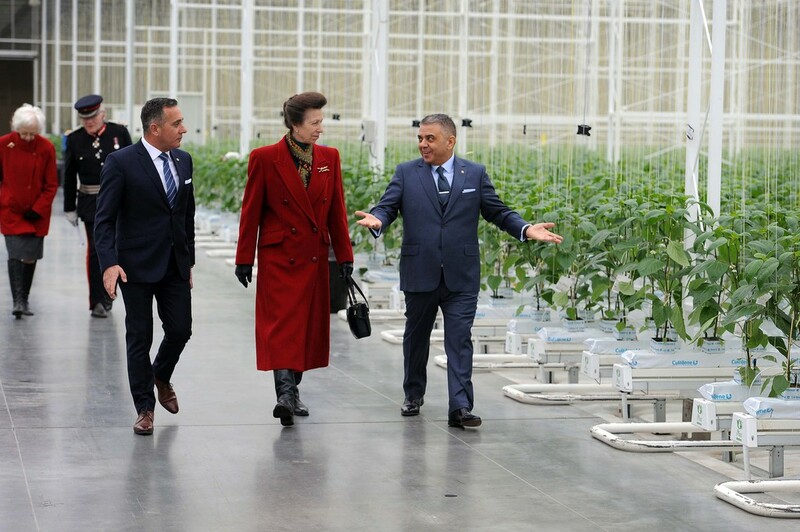 Lea Valley Growers Association secretary Lee Stiles said: “This new glasshouse represents an exciting development for the Lea Valley and we were delighted to have the opportunity to tell Her Royal Highness all about it today. The Lea Valley has about 300 acres of specialist glasshouses, where growers produce over 200 million cucumbers, sweet peppers and other salad crops every year.